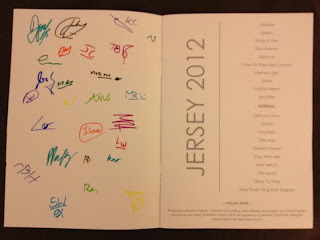 As some of you know, yesterday was the night of the first concert in Jersey. I know some fans were there like Yuki, her mom, Patrick, Martin, Lucy and many more. 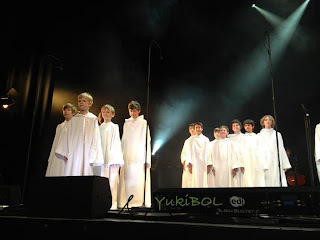 Yuki has shared with us some good photos from the concert. Thank you :). 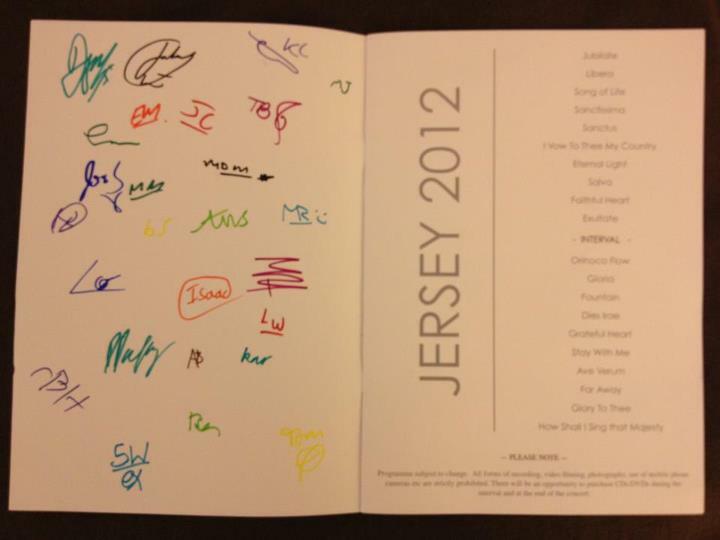 Before I posted the photos, let me list out the names of the choristers who were on the tour and the song list. Missing were Ralph, Stefan, Barney, Carlos and Oscar. Sam L was also missing because he was playing the cello. Maybe for a concert or something. No news about Alex's and Liam's absence. Aww, I was sad when Liam wasn't at the concert :'((. 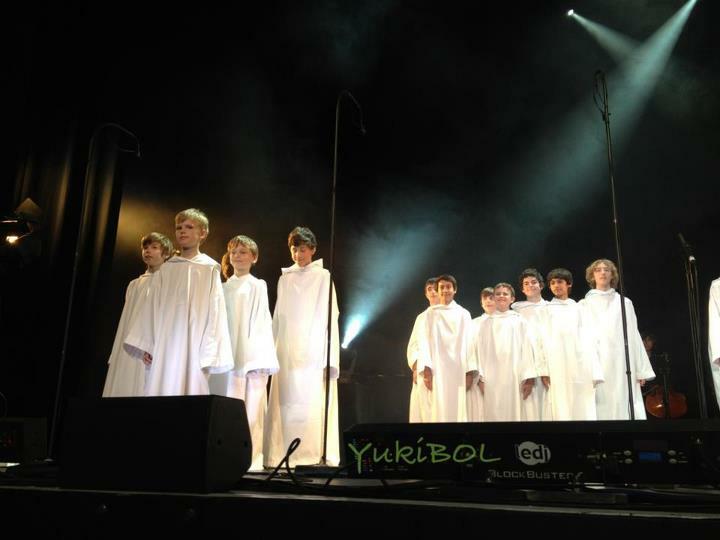 It's either he left Libera or he's busy. 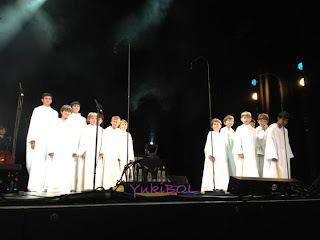 According to Yuki and Lucy, RP did not played the keyboard or piano this time but only conducted the boys. But good news! JOSH IS PLAYING THE KEYBOARD!! Woo hoo. Singing and playing an instrument at the same time. Plus he also got a solo in Faithful Heart. Multitask. Haha. Happy happy days for all Josh fans out there :)))). The songs are almost the same from the Spring tour and Arundel concert, except that they added in "Faithful Heart" and removed "Do Not Stand". I think Thomas is getting more solos now, just like Ralph during the Asia tour. Brings back memories from Singapore concert. Sigh!! Anyways, here are the photos I promised you. Please credit the photographer. Thank you. 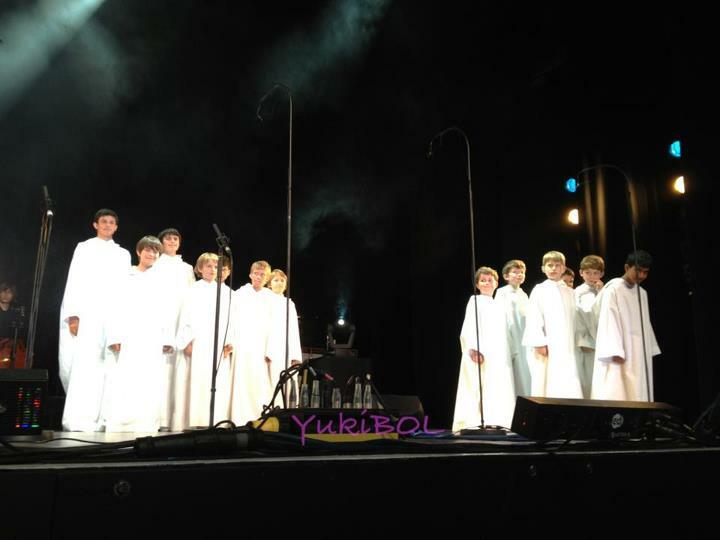 There was no M&G after the concert but they sell signed and unsigned programs, plus Libera CDs. Can't wait for tomorrow's concert.